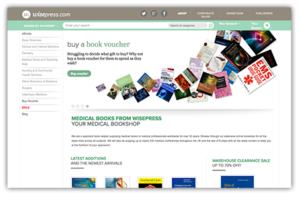 Wisepress helps medical practitioners from all over the world with their continuing professional development. We provide the current research and emerging ideas which will keep them at the forefront of their specialism. Whether through conference exhibitions, or through our comprehensive selection of books and journals, we can provide health professionals with the right information at the right time. With over 32 years of experience, including our participation in 6000 medical conferences, we have built strong links with many of the principal medical societies and associations. Our connections ensure our products and exhibition services will reflect the current and future trends in today’s fast moving medical world.